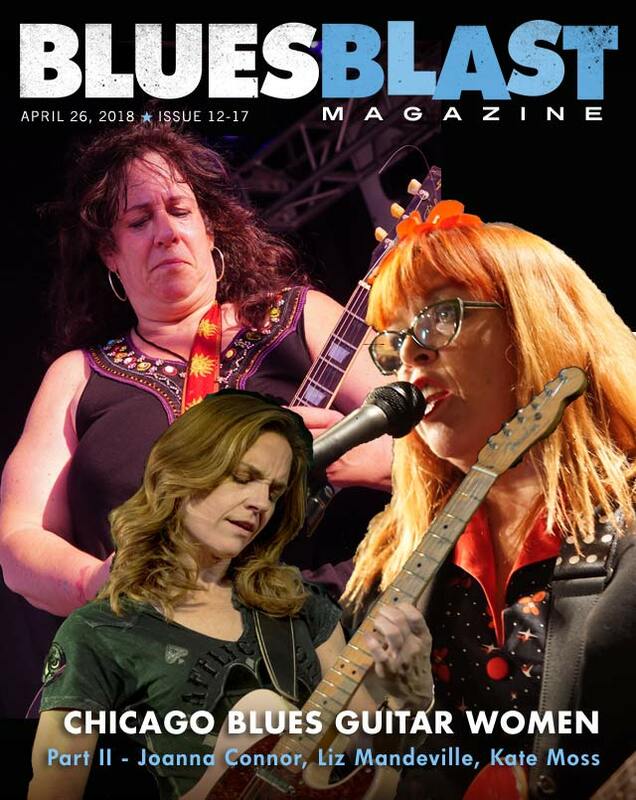 Mark Thompson has Part II of our focus on some great Chicago Blues guitar women. This week we feature Joanna Connor, Liz Mandeville and Kate Moss. 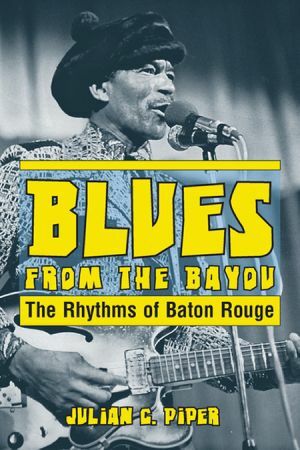 We have 8 Blues reviews for you this week including a book about Blues in Baton Rouge plus new music from Ernest Scott, Rockwell Avenue Blues Band, The Fleurieu Bluesbreakers, The Nick Moss Band featuring Dennis Gruenling, Mike Mettalia and Midnight Shift, Three Hours Past Midnight and Ghalia & Mama’s Boys. 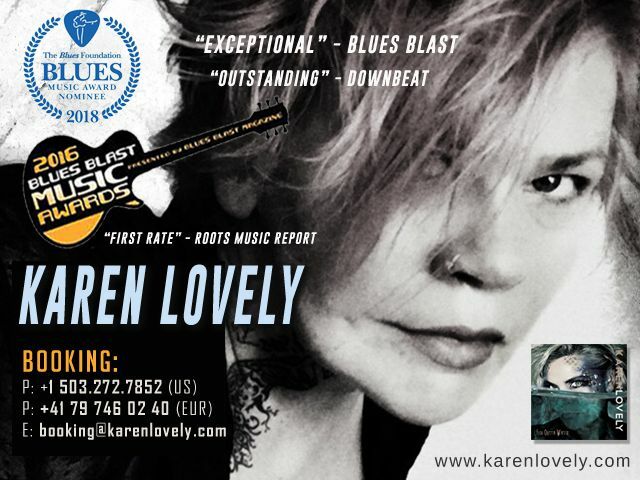 Tickets for the Blue Blast Music Awards will go on sale tomorrow, April 27 on our Blues Blast Music Awards website at www.TheBBMAs.com. Earlybird tickets are $30 until we announce the nominees in early June. Beginning June 15th advance tickets are $35. Tickets will be $40 at the door. 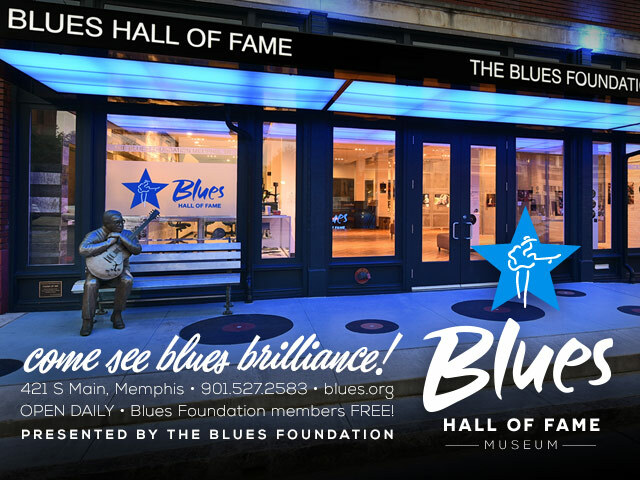 The Blues Blast Music Awards website at www.TheBBMAs.com has information and news about the 2018 Blues Blast Music Awards including how to get there, where to stay, information about the venue and more. Check it out to get your tickets and hotel reservations now! Over the last 30 plus years with the rise of digital recording equipment, a high stakes battle between analog purists and digital futurists has been waged. It is fair to say that early digital equipment was terrible sounding; tinny and cold. That’s why it’s not surprising that Ernest Scott’s warm and inviting Bridging the Gap, recorded in the early 90’s, is proudly analog. The producers even chose to forego modern digital mastering, finishing off the record in analog. Bridging the Gap is a smooth Louisiana R&B soul Blues album, more Earl King groove than Professor Longhair ruckus. This record was almost lost to time. The original tapes from the early 90’s were thought to be lost after Katrina. Producer/arranger/bassist David Hyde found the original mixes and pushed this record through production. The whole thing seems to be a labor of love; the labor was worth it because the love comes through the music. 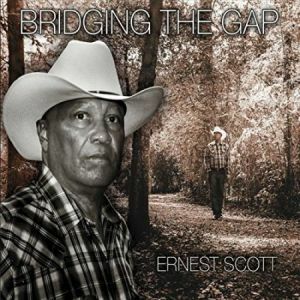 Denham Springs, LA based Ernest Scott has a confident, silky smooth voice that wraps you up in a warm blanket of storytelling. “Breezy Hill,” written by executive producer Dan Tyler, is a down-home homage to country living, sitting on the front porch, playing with your baby and taking it easy. The acoustic guitars chug this song along with super chill electric piano. “Not too much sophistication,” but plenty of soul. Scott’s singing is so evocative that you feel like you are sharing a drink with him in his country paradise. 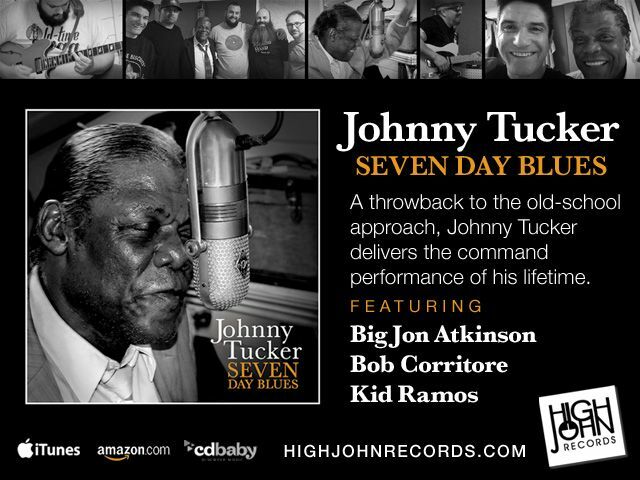 Straight up real deal Blues are abundant on this record. This being a Louisiana album, there are two Slim Harpo covers, “Te-Ni-Nee-Ni-Nu” is a standout. Rudy Richard and James Johnson create a funky guitar latticework upon which Scott tartly questions if his baby is gonna be the star of the show. Scott’s cover of Buddy Guy’s medium tempo burner “A Man & The Blues” does not match the hollow rawness of the original. But, he puts a warm round lens on the song highlighting the BB King influence in Guy’s music. Scott has a great delivery for sentimental ballads that can really express deep emotion and carry a slow tempo. The excellent duet with Irene Sage “Man Woman Thing,” written by Dan Tyler and Jeff Tweel, is a thoughtful declaration of how hard it is to keep a relationship popping. The horn arrangements on this song, and throughout this record, are elegant and perfectly matched to the music. This is a soul record. If you forgot because you got caught up with all the swamp, blues and funk listen to the Al Green styled “Laughing Man.” Another penned by Dan Tyler, with help from J. Fred Knoblock, there is double meaning running through this clever song. A man who is laughing because he is not as hard as he was when he was younger is also the man with the seemingly insane laugh of a heart broken crazed former lover. The skittering rhythm guitar and straight up R&B sax solos drive home this excellent feel good workout with a twist. It’s hard to credit all the various musicians on this album. There are 10 different guitarists, 4 different drummers, 4 different keyboardist and too many background singers to count. In spite of the changing personal there is a consistency in this record due to Scott’s strong vocals and the focused sense of purpose in production. This swampy gem is a masterpiece and we are lucky it survived the tragedy of Katrina. Suggestion: sit on your front porch, take it easy with your baby and listen to Bridging the Gap. Reviewer Bucky O’Hare is a Bluesman working out of the Greater Boston area. 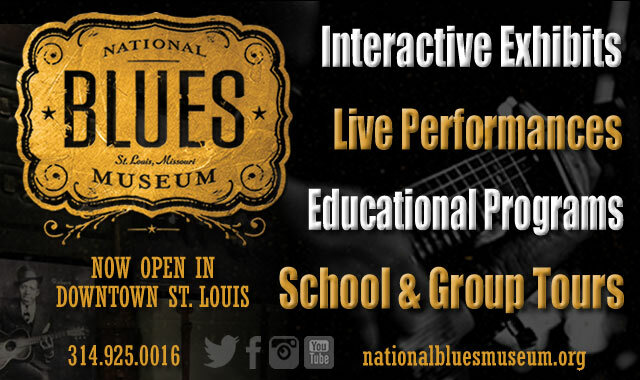 A life long Blues obsessive, Bucky has spent countless hours experiencing the Blues and learning it’s history. As a writer Bucky has been influenced by music critics and social commentators such as Angela Davis, Peter Guralnick, Francis Davis and Henry Louis Gates Tr. 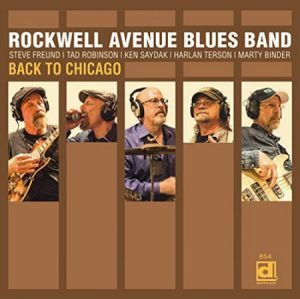 While the Rockwell Avenue Blues Band might seem to be new kids on the block, they’re anything but. The group is composed of five longtime friends who are all familiar names when it comes to delivering real-deal Chicago blues. All five are decades-long veterans of several of the most important bands in the business, three are in band leaders themselves, and all have spent a good part of their 200 or so years in the business working together in the ever-changing lineup of The Fabulous Fish Heads, a Chicagoland favorite since the mid-‘80s. As a result, this CD is more of a long-awaited family reunion than anything else. Taking their name from the location of the legendary Delmark Records studio, where this album was recorded and where they’ve laid down tracks regularly in the past, the band is composed of guitarist/vocalist Steve Freund and harp player/vocalist Tab Robinson, a pair of New Yorkers now residing in the San Francisco Bay area and Indianapolis, Chicago-born keyboard player/vocalist Ken Saydak, who now calls Colorado home, and the Windy City-based rhythm section of bassist Harlan Terson and drummer Marty Binder. Praised by Rolling Stone for his “masterful, no-nonsense guitar work,” Freund cut his teeth playing behind Hubert Sumlin, Louis Myers and others before becoming a fixture with both Sunnyland Slim and Big Walter Horton. Recognized by Downbeat as one of the “finest living singers of soul blues,” Robinson served as front man of Dave Specter’s Bluebirds, is a popular draw at European festivals and is such a talent that the great Otis Clay made guest appearances on Tad’s recordings. 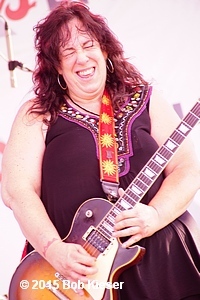 Saydak also worked extensively with Specter after decades on the 88s behind Lonnie Brooks, Mighty Joe Young and Johnny Winter. He’s a powerful baritone with a sound all of his own. All three have extensive history as front men, and the rhythm section is just as strong. A longtime Saydak band mate behind Brooks, Terson began recording in the ‘70s. He continues operating the Fish Heads today in a career that’s included work with, Otis Rush, John Littlejohn, Eddie Shaw, Lurrie Bell and many more. 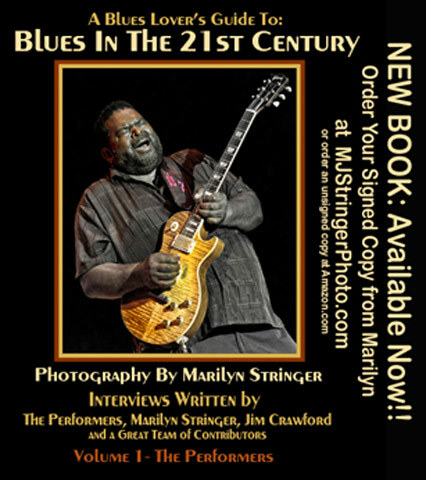 And Binder, the junior member of the group, kept time behind Albert Collins and has worked with Coco Montoya, Eddie C. Campbell, Omar Coleman and others since arriving on the scene in the ‘80s. 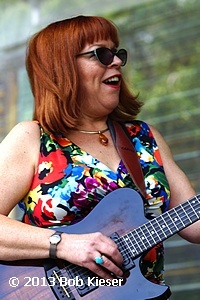 Containing 13 originals and two covers, the album kicks off with “Blues For Hard Times.” Freund’s brief, tasty six-string solo atop a percussive rhythm opens the number before Robinson launches into lyrics that vow always to be watching his lady’s back and knowing she’s doing the same as they work together to face any difficulties that arise while living in the big city. Known primarily for his guitar prowess, Freund’s an accomplished, relaxed vocalist in his own right as he demonstrates on the “Boogie In The Rain” with Tad and Ken complimenting the driving six-string patterns with solos of their own. Saydak’s booming pipes take over for “That Face,” a slow-paced two-step that describes an ill-matched romance. The vocal rotation continues in order through the remaining 12 cuts with guitar, harp and keys all getting space to shine throughout. “Free To Love Again” features Robinson’s melismatic delivery atop a medium-paced stop-time shuffle while “Lonesome Flight” is pure old-school. It’s a slow blues that describes the phone call notifying Freund that his father has died. The sprightly “Chariot Gate” changes the mood dramatically with Saydak describing how he’s not ready to go, but looks back on his youth with several regrets. Two covers — Mary-Ann Brandon’s “We Believe” and Elmore James’ “Stranger Blues” – follow before seven more originals compete the set. Ken’s clever “For A Reason” delivers understanding of the meaning of life, while Tad’s “Rich Man” is a sweet ballad singing about the true value of love. 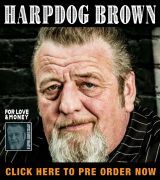 Steve’s tribute to Big Bill Broonzy, “Hey Big Bill,” features Robinson’s harp before Saydak’s in charge for “Love Police.” Penned by Terson, it describes a man who’s under suspicion every day of his life. “Back To Chicago” describes a potential difficult return to the city, knowing there’s an angry woman waiting at home, while the slow tempo “Have You Ever Told Yourself A Lie” features Freund on slide for the first time in his recording career before the keyboard-driven ballad “Dream” brings the action to a close. 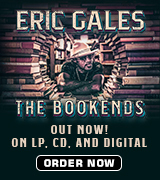 An instant classic for lovers of modern, but traditional blues delivered by artists who know the medium best. Available through all major retailers and highly recommended. My only criticism: The list of members on the CD cover doesn’t match up with the photo lineup below, takes nothing away form this one! 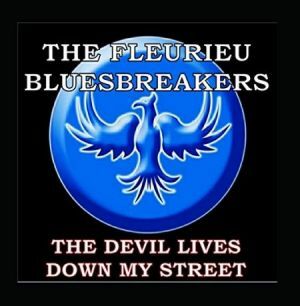 The Fleurieu Bluesbreakers debut album The Devil Lives Down My Street is a collection of eleven original songs written by the band members. The album covers a wide range styles, from swing blues, shuffle to R&B. This is Brian Cain’s latest effort under the Indiana Phoenix label. The band is from the Fleurieu Peninsula region of South Australia and has been together for a little over a year. They were formed when Brian returned to the region and reconnected with fellow musicians from the area. The band members are Brian Cain – lead vocals and harp; Ross Brennan – guitar and vocals; Peter Nixon – bass and vocals; Jim Judd – drums. The highlight the band is Brian Cain. Brian is one of Australia’s best blues harp players. 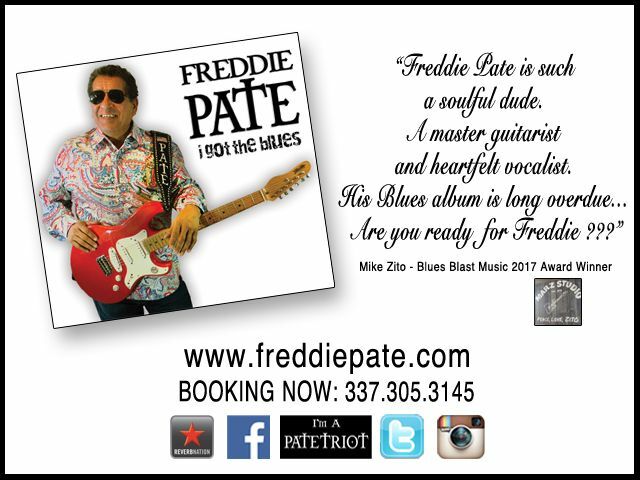 In 2010 he was a Tamworth Gold Harmonica winner and East Coast Blues Harp Showdown winner. His harp playing and well-worn, raspy vocals are featured throughout the album. The other members of the band form a nice tight rhythm group, keeping the groove for each song. A couple of the best tracks on the album are “My Phone,” a swinging number about our love/hate relationship with the cell phone. It features a very nice guitar solo from Ross. Brian’s harp also shines. “Earl,” the only instrumental on the album is a jazzy tune that lets the band members cut loose. The rhythm section of Peter Nixon (bass) and Jim Judd (drums) drive a steady beat and there is more fine harp and guitar work throughout. “Goodtime Boogie,” a song about drinking and driving, is appropriately named. The band sure does boogie down. It makes you want to get up and move your feet. One downside is the album arrived without liner notes. That made it difficult to credit song writers. 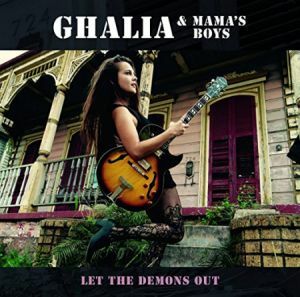 The Devil Lives Down My Street is a very solid collection of original songs offering a very nice contemporary take on traditional blues. It will be interesting to what their next effort sounds like. 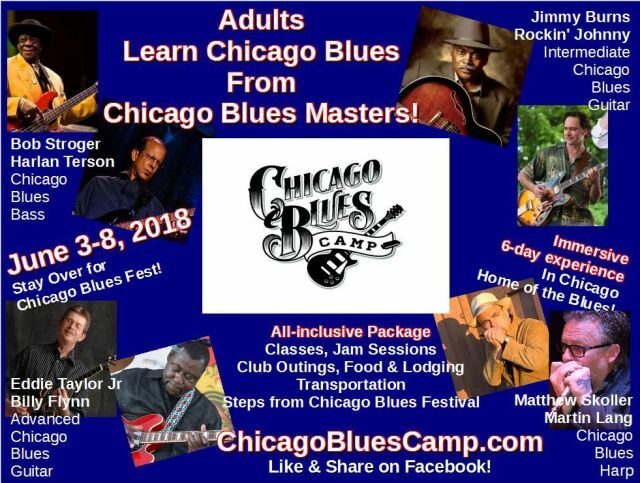 Nick Moss needs no introduction to most Blues Blast Magazine readers, having been a stalwart of the Chicago blues scene for over 20 years, releasing 12 albums on his own Blue Bella label. 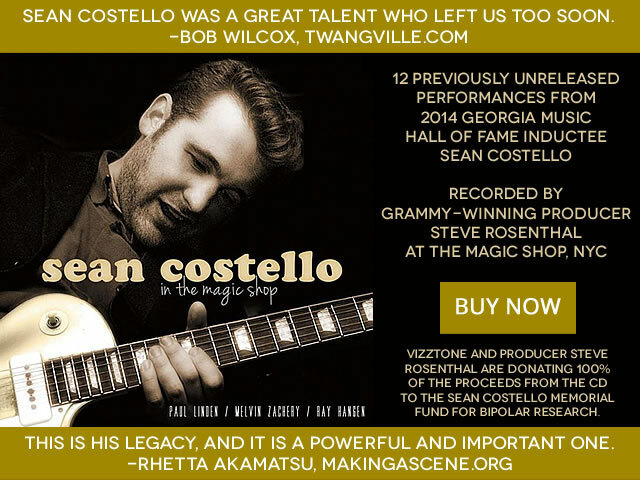 His latest album, The High Cost Of Low Living, however, gives cause for celebration for all fans of modern, electric blues. Having dabbled in blues-rock and jam-band material on recent releases, Moss has very much shifted his focus back to pure electric blues on his new album. 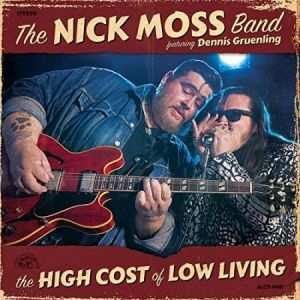 Further, the Nick Moss Band (NMB) now includes the serious harmonica talents of Dennis Gruenling, while the album was co-produced by the legend who is Kid Andersen (who also contributes guitar and percussion to a couple of songs). The result is an absolutely belting album of Chicago blues that neatly treads a fine line between Moss’s old school guitar stylings and modern tastes and tones. The album opens with a single note guitar riff from Moss on “Crazy Mixed Up Baby” before the entire band weighs in on a classic shuffle groove. Gruenling lays down a swooping, soaring harp solo, but it is apparent that each member of the NMB is firing on all cylinders on this album. Drummer Patrick Seals and bassist Nick Fane lay down a series of exemplary grooves throughout, particularly on shuffles like “No Sense”, while Taylor Streiff adds his usual subtle but effective piano parts. There is a muscular toughness to the NMB that reflects both the sheer number of gigs the band has played together and the city they call home. 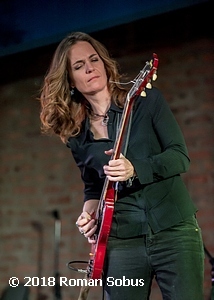 Moss lays down a series of powerful guitar solos, including a classic slide guitar line in the title track and sings his smartly written lyrics in his warm, weathered voice. In addition to his imperious harp playing, Gruenling contributes vocals to “Count On Me” (with its hilarious Keith Ferguson-esque spoken intro) and “Lesson To Learn”, while guest Jim Pugh provides organ on “All Night Diner” and piano on “Lesson To Learn”. 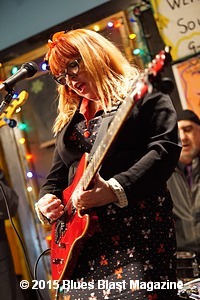 The whip-smart jump blues of “Get Right Before You Get Left” ensures that the temperature remains high as the band tear through the Elmore James-esque title track, the rockabilly of “Count On Me” and the upbeat boogie of “Get Your Hands Out Of My Pockets”. There is an infectious sense of both purpose and fun about this music although it’s probably fair to say that one of the emotional highlights of the album is “He Walked With Giants”, a slow blues dedicated to much-missed Barrelhouse Chuck that features a lovely extended solo from Streiff. 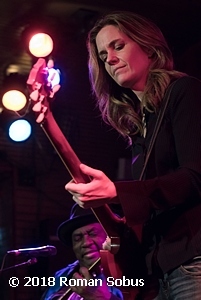 Moss wrote eight of the tracks on the album, with Gruenling contributing two songs and the others being nicely selected covers of “Rambling On My Mind” (attributed here to Boyd Gilmour rather than Robert Johnson and played at a sprightly clip), Otis Spann’s “Get Your Hands Out Of My Pockets” and the old Santo & Johnny instrumental, “All Night Diner”, which is given a shot of modern adrenalin and attitude. The High Cost Of Low Living is a top class album of modern Chicago blues. There is real chemistry between Moss and Gruenling and it will be fascinating to see what these guys get up to next. In the meantime, however, this is a pretty essential purchase. As a freelance writer and reviewer, I always enjoy good tips about my trade. Here are two of them from Lifehack: “Writing is about voice, personality and delivery…People are looking for honesty, not perfect prose.” The same principles can be applied to the blues as well. Only those with experienced, finely-tuned ears can critique musical technique and be correct. The rest of us? We’re looking for honesty, not perfect pipes or performances. Keep this in mind as you listen to Crescent Moon Deluxe, the third album from Pennsylvania’s Mike Mettalia and Midnight Shift. Their vocals and blues-rock instrumental talent are considerable, though not superstar-level. What makes them stand out is their sense of humor and good natured-approach to the blues. Theirs isn’t “mean music,” as Stephen King deemed it in his novel Revival. Instead, it’s a homage to the happy days of the 1950s, including guest stars Jimmy Cavallo, a sax legend, and Sun recording artist Rayburn Anthony. Presenting over an hour of music, including thirteen originals and several under-recorded classic covers (e.g. T-Bone Walker’s “Description Blues”), they aim to keep you sock-hopping. The band’s specialty, in yours truly’s opinion, is jump blues. 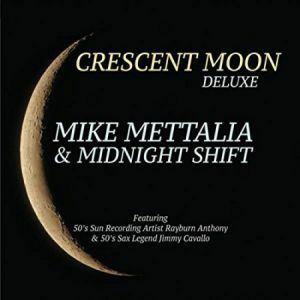 Mike Mettalia and Midnight Shift were semifinalists at the 2006 International Blues Challenge in Memphis, and also competed in 2012. Their last two CD’s, Rhythm Rockin’ Boogie and 2012’s Midnight Sun, were both nominated for Best Self-Produced CD at the IBC. Lead man Mettalia, on harp and vocals, played with Crosscut Saw for thirteen years. He opened for Junior Wells, Robert Cray and the Nighthawks. Mike McMillan, on guitar and vocals, was a member of Crosscut Saw and the Tall Guys; more of his feats are backing up Byther Smith and rockabilly legend Billy Lee Riley. Paul Pluta, on bass and vocals, has been playing since 1968 and counts the Rolling Stones and Willie Dixon as primary influences. 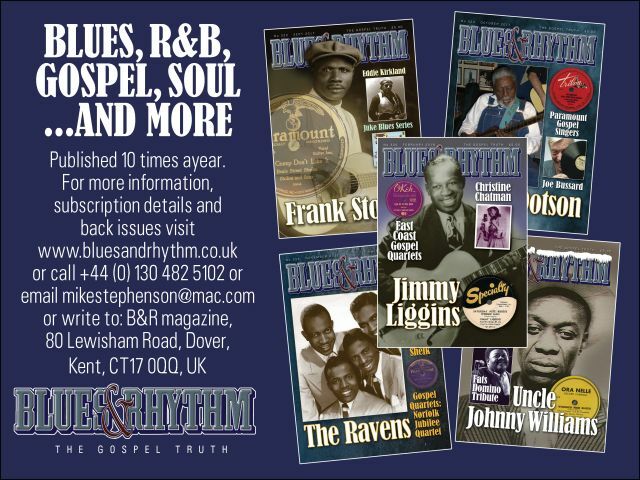 Drummer Tim Smith loves Johnny Winter and Buddy Rich, and was also a member of Mike McMillan’s band the Hi Rev Combo. The songs below are the catchiest and most memorable, shining fully in Crescent Moon Deluxe. Track 03: “I Don’t Remember” – Time for a swinging original tune about alcohol amnesia! When drink dulls one’s recollections, the lamest answer to accusatory questions is also the truest. “‘What did you do last night?’ I don’t remember. ‘Where did you stay last night?’ I don’t remember…One drink: I was feeling fine. Two drinks: Get your beer and wine. Three drinks: Well, she gave me a sign. Four drinks: I think I started crying. My head was spinning, couldn’t find the door. I don’t remember if I hit the floor.” Mettalia’s harp is magnificent. Track 04: “Ranchero” – This surf instrumental from Mike McMillan combines the wildness of the waves with a Latin blues rock vibe. Don’t have a board? Stretch out your arms and act like you do. As usual, Mike’s guitar is the Cowabunga from Down Unda (thanks, Back to the Beach). Track 07: “Jumpin’ with Jimmy” – Bringing back big-band sound is no easy feat, but legendary sax icon Jimmy Cavallo pulls it off with aplomb. This track is truly lucky number seven, the highlight of the twenty tracks on the album. Sing along with the refrain and do a little jumping, especially during the solos in the middle. They balance each other perfectly and that’s no lie. Crescent Moon Deluxe isn’t perfect, but it sure is peppy, certain to chase one’s blues away! There is a type of Texas Blues that is swinging and funky. It’s not a shuffling two step like the Vaughan Brothers or a rockin’ thump like ZZ Top. This Texas Blues was born from the C bend to D, D, G triplet riff that T-Bone Walker played in syncopated repetition. It was matured by Clarence Gatemouth Brown and Johnny Guitar Watson. It was made raw and emotional by Freddie King and Albert Collins. It swings hard and drips with a stinky dose of funk. 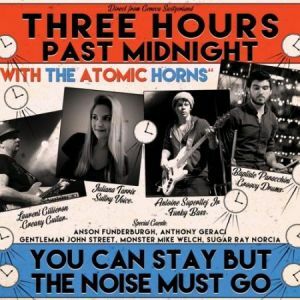 It is this Texas sound that Geneva Switzerland’s Three Hours Past Midnight are recreating on their debut record You Can Stay But the Noise Must Go. You Can Stay But the Noise Must Go is a fun groovy album. The subtitle for this record could be “a tribute to Albert Collins and Johnny Guitar Watson.” Both the name of the band and the title track of this record are Johnny G songs and Watson’s virtuoso guitar inventions and 50’s aesthetic is all over the place. But this record is even more indebted to the Iceman, Albert Collins. Band leader/guitarist/producer Laurent Gillieron is an obvious disciple, most apparent on the faithful recreation of the Collins cover “I Begin to Wonder.” His solid economical guitar playing is tasteful throughout. Economy and a tasteful aesthetic characterizes Gillieron’s production and the band’s chemistry. This is a covers album but not of obvious overwrought workhorses. The choices of lesser know songs by legends and modern songs by Robert Cray and John Nemeth are refreshing. Bassist Antoine Superflej Jr. (in full Johnny B Gayden mode) and drummer Baptiste Paracchini are young musicians who play with mature restraint. Singer Juliana Tarris has a calm mellow voice that is reassuring and solid. Even the brash addition of “The Atomic Horns,” Alberto Oliva on trombone and Larry Lee on sax, fit right in and don’t interrupt the groove. Check out first track, the instrumental Mar-Kays cover “Grab This Thing,” for a showing of what this horn section is about. Some sparks fly from the guest musicians. Sugar Ray Norcia adds his distinctive harp to “He Belongs to Me” an uptempo Magic Sam rework. Legend Anson Funderburgh and Monster Mike Welch each offer lead guitar heat to their respective jump blues numbers. Piano is added by Gentleman John Street and Anthony Geraci. Geraci also contributes the only original song on the record “Diamonds and Pearls,” (obviously not the classic Prince song). The guest musicians, especially the guitarists, push the band into more emotive space and add dynamics and urgency. 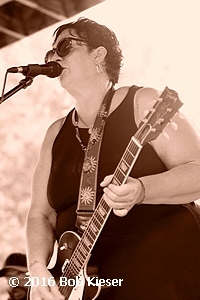 The funky swinging Texas blues is a fun loving and emotional music. It has curb appeal that belies its depth; listeners are drawn in by the flashy and charming first impression and then are challenged by witnessing real emotions. The music on You Can Stay But the Noise Has to Go is solid and a great recreation of the curb appeal. However, the music doesn’t have the depth of the gyrating funk of Johnny Guitar Watson or the ice cold stank of Albert Collins. The packaging of this record is an homage to Anson Funderburgh and the Rockets debut album Talk To You by Hand. This tribute helps to deepen the impression that this album is a love letter to the band’s influences but, not a unique statement. This solid debut has great potential. If Gillieron and co. can begin to infuse their Blues with more of themselves, this band could become very deep and truly funky. 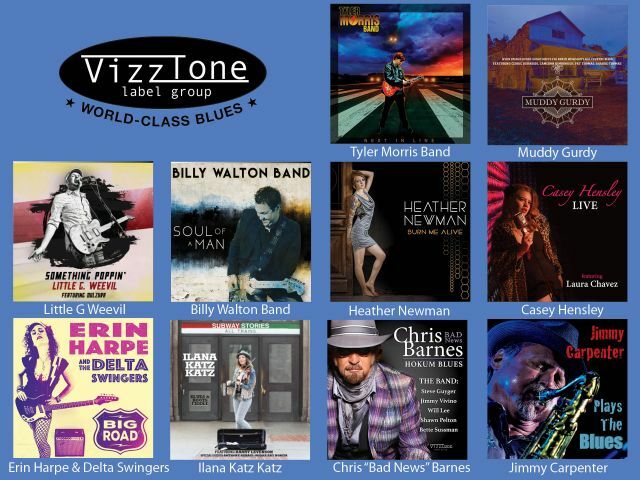 Blue Monday Schedule: 4/30 – Joe Tenuto Band, 5/2 – Albert Castiglia 7 pm, 5/7 – Jason Elmore & Hoodoo Witch, 5/14 – Too Slim & The Taildraggers, 5/21 – Billy Galt & The Blues Deacons, 5/28 – TBA, 6/4 – TBA, 6/11 – Rockin’ Johnny Burgin, 6/18 – The 44’s with Tex Nakamura, 6/25 – Laurie Morvan Band. For more information visit www.icbluesclub.org.